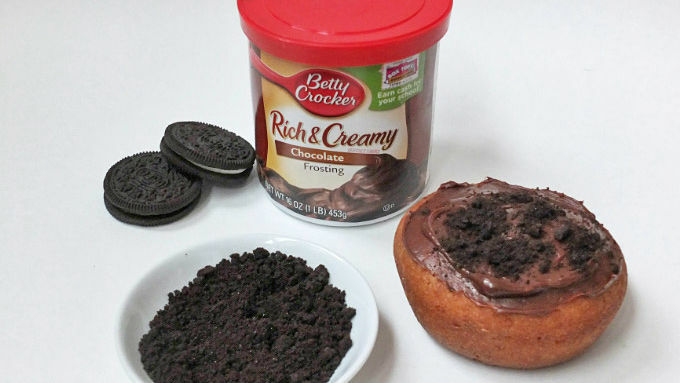 Frost the top of the donut with chocolate frosting, and then sprinkle frosting with crushed Oreo™. 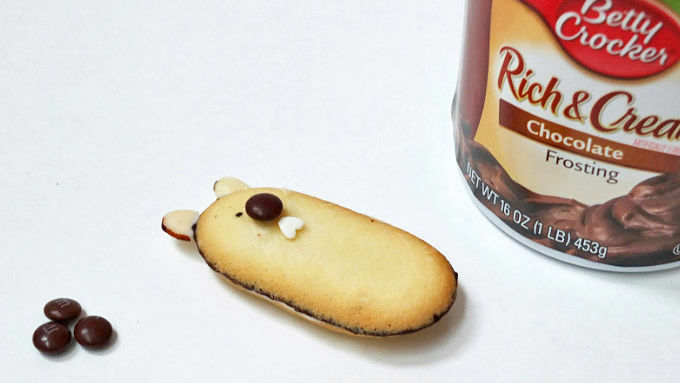 On one end of the cookie, push the almond slices into the filling of the cookie for the ears. 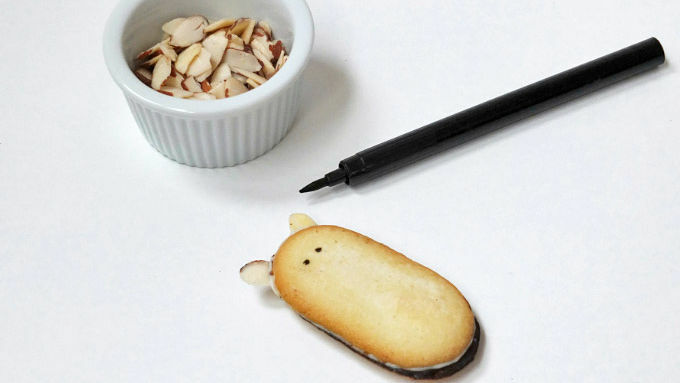 Draw eyes and mouth onto cookie with the black edible marker. Attach mini M&M™ with frosting for the nose. Turn the white heart sprinkle upside down and attach with frosting for the teeth. Push cookie in the middle of the donut hole. Decorate with the chocolate rock candy around the donut. If the almond ears are too brittle to push into the cookie, attach them with a little frosting or melted chocolate. 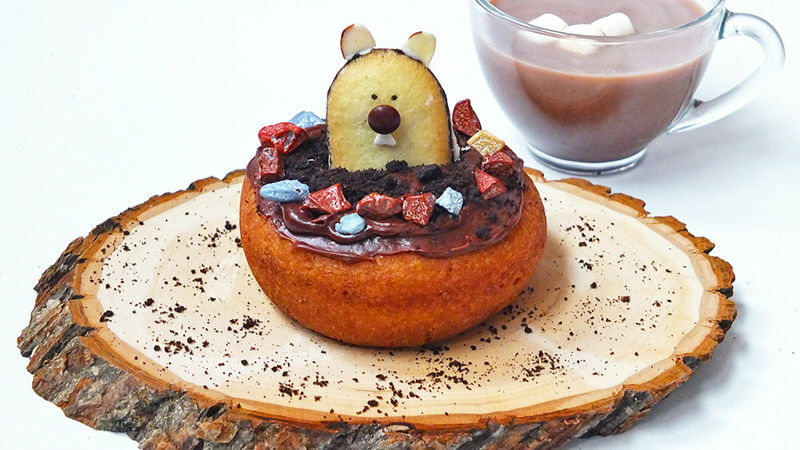 Whether it's early spring or a long winter, this Groundhog Day donut is a fun breakfast treat. I kinda sorta love Groundhog Day. Maybe because here in Seattle we have to hope that spring is right around the corner. It's usually been raining sideways for 6 months and we worry we won’t see the sun before July 5th. Or maybe because I just think that those groundhogs are so darn cute. When my kids were small, we would have these cute groundhog donuts for breakfast while watching the news to see if he saw his shadow or not! These adorable donuts coupled with a cup of hot cocoa was a fun tradition and it made you feel warm and fuzzy inside – even if it meant 6 more weeks of winter! Make this super silly breakfast starring our favorite fuzzy wintertime friend! Come on Phil! Don’t let us down! We need an early spring!